Deane H. Ohmstead, age 75 of Delavan, Wi., the eldest son of Ruth and Harvey Ohmstead, entered into the kingdom of Heaven on April 5, 2013 at Williams Bay Care Center in Williams Bay, Wi. He was a graduate of Mary D. Bradford High School in Kenosha, Wi. He then graduated from Gateway Technical College as a millwright and in 1957, went on to work at AMC Corporation and Chrysler Corporation, becoming a master millwright before retiring after 40 years. Deane married Joy H. Bose on April 9, 1960. They lived in Kenosha, Wi for 38 years. In 1964, they built a home in Pleasant Prairie, Wi. 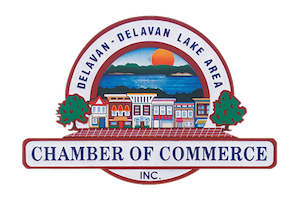 until September 1998, then they moved to Delavan, Wi. to live with their daughter Kathy Sue White. Deane is survived by his loving wife Joy of Delavan, Wi., his son Randy (Brenda) Ohmstead and his daughter, Kathy (Dan) White . 3 grandchildren; Jessica White, James and Elyssa Ohmstead. 1 sister Marie (Robert) Ohmstead-Stacy and 1 brother Karson (Bonnie) Ohmstead. 1 brother-in-law, Wayne (Frieda) Bose. Also survived by several nieces and nephews and many good friends from Kenosha and Mesa Arizona, where they wintered for many years. Newer PostJess Edward Schleiger Jr.